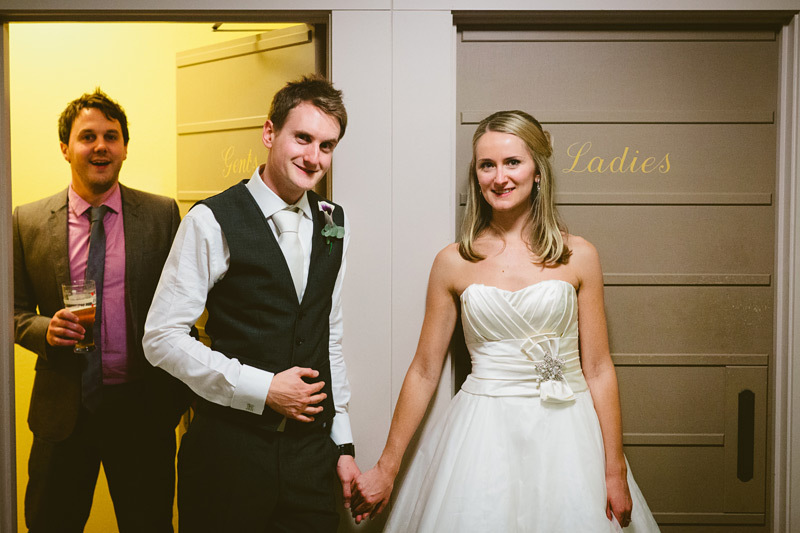 Pam & Martin’s was my first wedding of 2011. I spent the evening before – New Year’s Eve – enjoying the fantastic company of their family in their Lancashire home, very well fed indeed and provisioned with excellent wine; provided with accommodation by their next door neighbour, away for the period and whom I never met in person; immersed in a wealth of kindness. 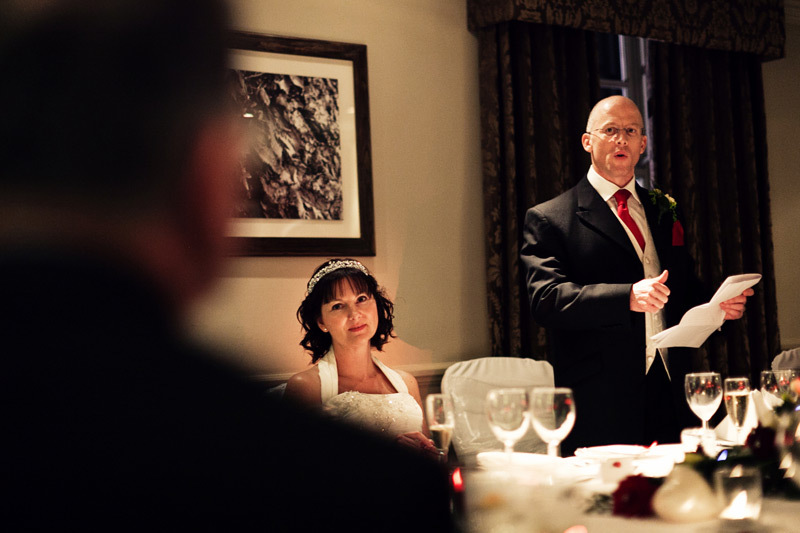 The opening image has always been a favourite of mine from Pam & Martin’s wedding day, as Martin addresses his father whilst delivering his speech. 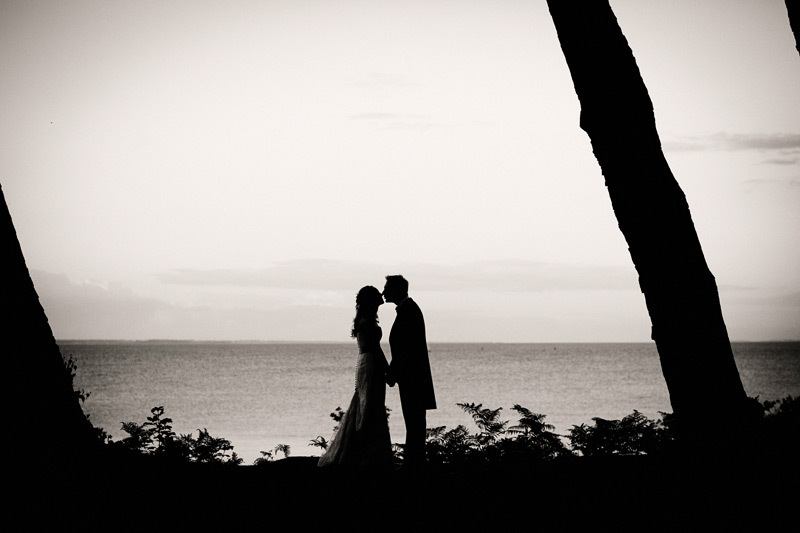 I feel that it conveys a strength of connection between those in the image, both seen clearly and present in partial silhouette; such strength of connection being a strongly evident theme throughout the day. I do very often attract clients that are spontaneous souls but I think that Alex & Simon hold a particular record amongst all the weddings that I’ve photographed in that they went from engagement to wedding day in just eight weeks (they had though been together for some nine years in the lead up to that). 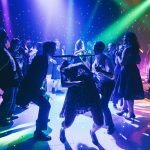 They booked me one week after getting engaged and seven weeks later their wedding day contained absolutely everything that one might expect of such an occasion. I selected this image as it foreshadows the fact that I found myself back in the same family home just a year and a quarter later as Alex’s sister, Zoe, prepared to marry Chris. I’m very lucky to find myself very much enjoying every wedding that I photograph, there’s something additionally enjoyable about photographing weddings that follow on from previous ones that I have photographed (those of members of previous wedding parties or guests from previous weddings) and then something all the more special again when I find myself photographing the weddings of siblings of previous clients of mine. I find myself invariably having the trust of my clients but when parents and other family members are happy to see me again, well, it’s just a really nice place to find myself in :~). Ben was a student of mine at the National Centre for Computer Animation and upon graduating in 2006, he went on to work for the Moving Picture Company where he continues to work to this day. His was the first of four MPC weddings that I’ve thus far photographed and the second of five weddings of a particular friendship group connected to the NCCA. I later went on to photograph the weddings of a further two of the subjects featured in the selected image wherein all four are former students of mine. Before I slip fully (yet again!) 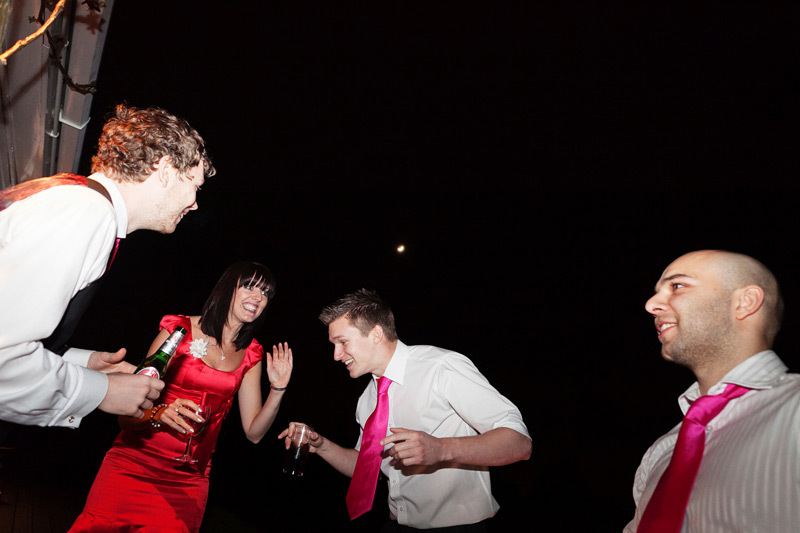 into a whirlwind of statistically framed reminiscing though I’ll get to the point of my selecting this image, which was to accompany my mentioning how much I enjoy catching up with broader groups of former students when I have the opportunity to photograph the weddings of their peers. I’ve been bumping in to these same people at weddings spanning eight years, thus far (including in those two cases, their own), caught here dancing in the moonlight. 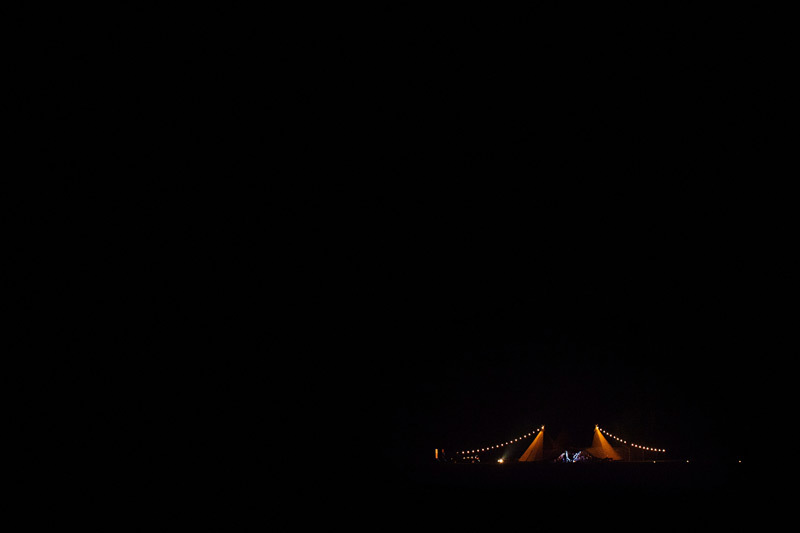 It is there, the moon; if a little small in frame! 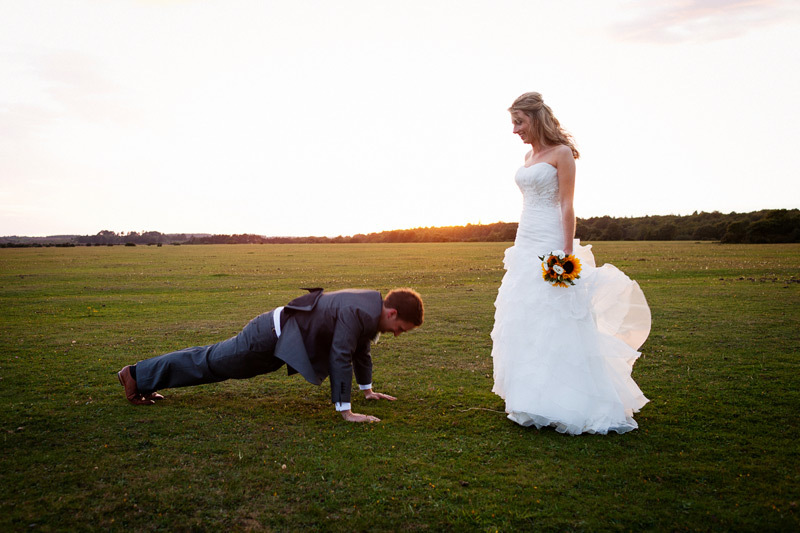 It was a particular pleasure to be asked to be their wedding photographer and to find myself once more amongst a group of people with a particularly hearty and healthy dynamic about them. I always carry back up cameras, back up lenses, back up batteries and back up memory cards with me to weddings but I could have done with a couple of back up legs when photographing Beth & Stephen’s wedding (though in a sense I did as I had a second shooter, Nichola – whose wedding I photographed some years later – working with me on this one), such was their unbounded energy. 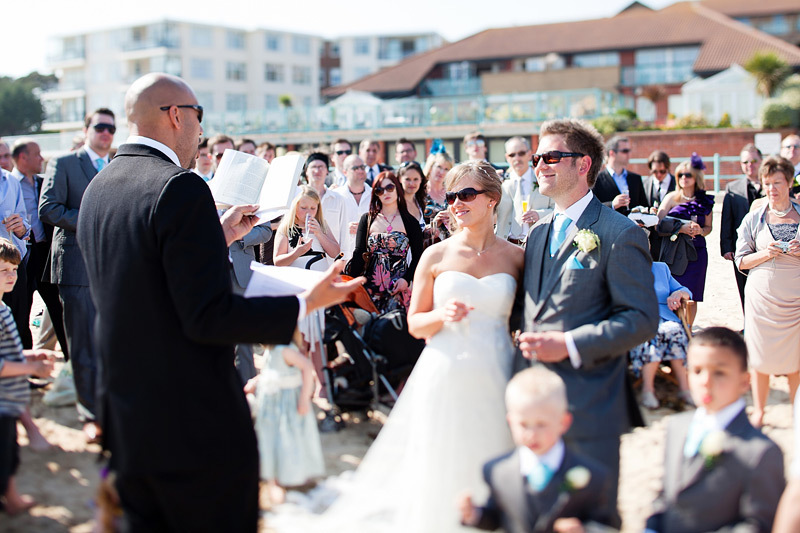 They got married twice, on the same day, the first time in a civil ceremony at the Italian Villa at Compton Acres then a second time down on the beach at Sandbanks; a DIY ceremony conducted by Beth’s brother-in-law, Simon. Then everyone returned to Compton Acres to celebrate into the night. 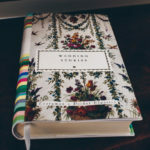 It can at times, during a legally sanctioned wedding ceremony, seem as though the personalities of the two individuals at the heart of it all are peeping out above the parapets of convention that surround the conduct of that ceremony. 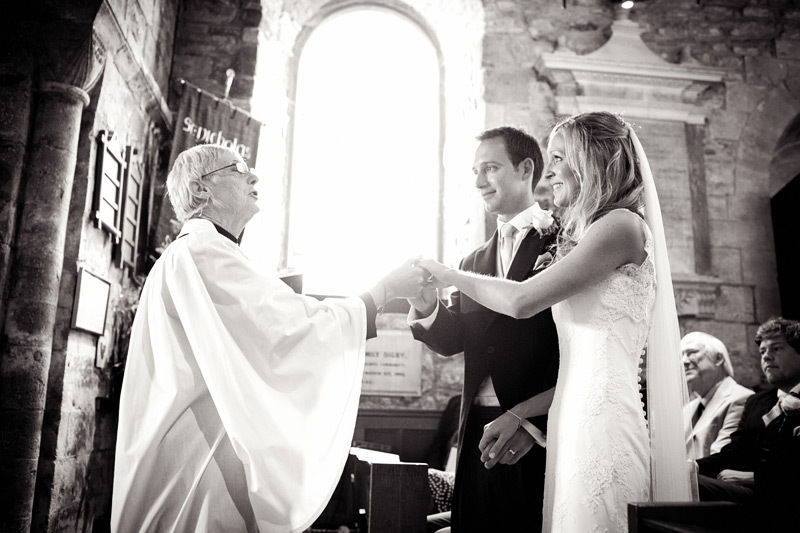 Some vicars, priests and registrars do prove to be dab hands at magnifying the personalities of the marrying couple, but a ceremony of the couple’s own making tends to guarantee such a focus. 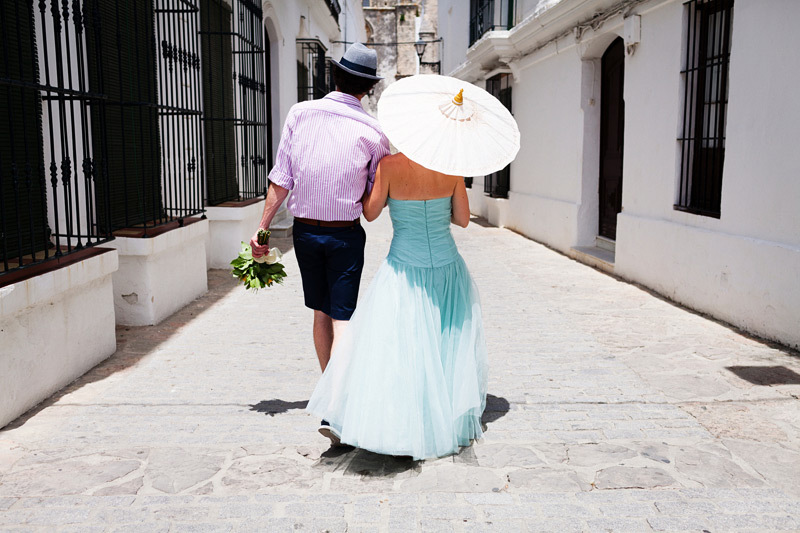 I was impressed by Sophie & Tom’s approach to choosing a locale within which to get married. It was adventurous and risk-taking, whilst at the same time all exceptionally well planned for a perfect outcome. 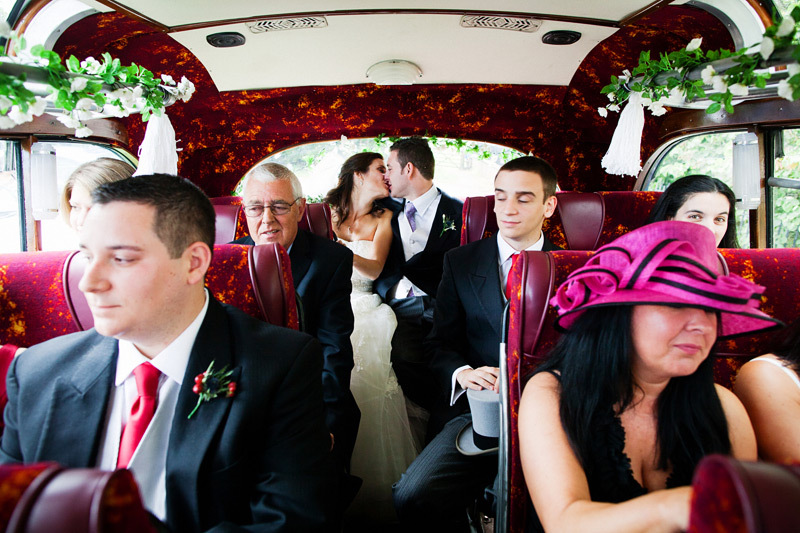 Hailing from Doncaster, they had been on numerous holidays to Devon and Cornwall, loved the region and wanted to share enjoyment of it with their friends and family in bringing them all down to celebrate their marriage there. 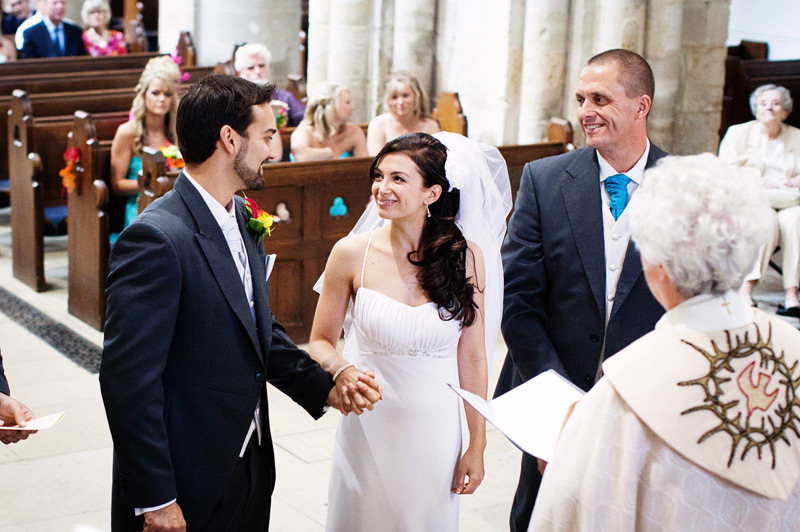 Sophie & Tom had not however been to Dorset before but settled on staging their wedding in the county due to its transport links and greater ease of access for their guests from the north. 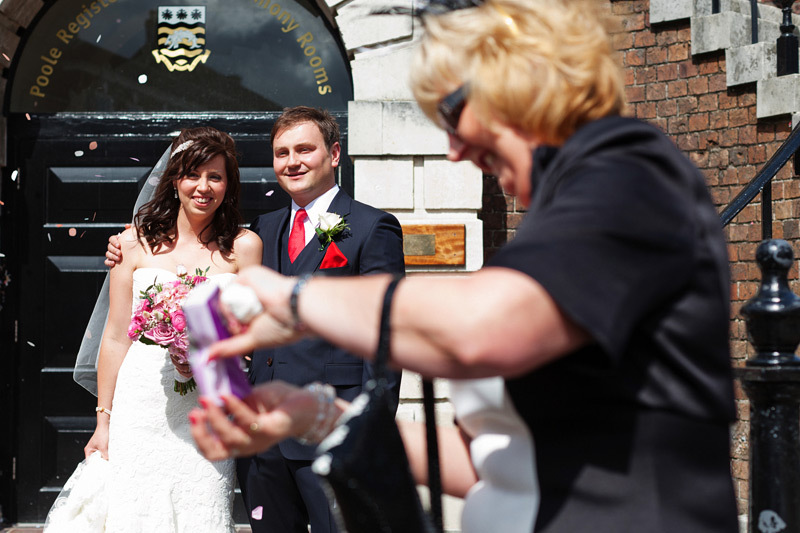 They put in due research, booked a time to get married at Poole Guildhall, an afternoon at the nearby Hotel du Vin to eat and the cellar bar of a local pub to celebrate into the evening. 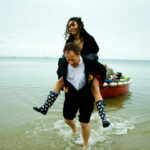 Then they made their first actual visit to Dorset to tie up all the details! 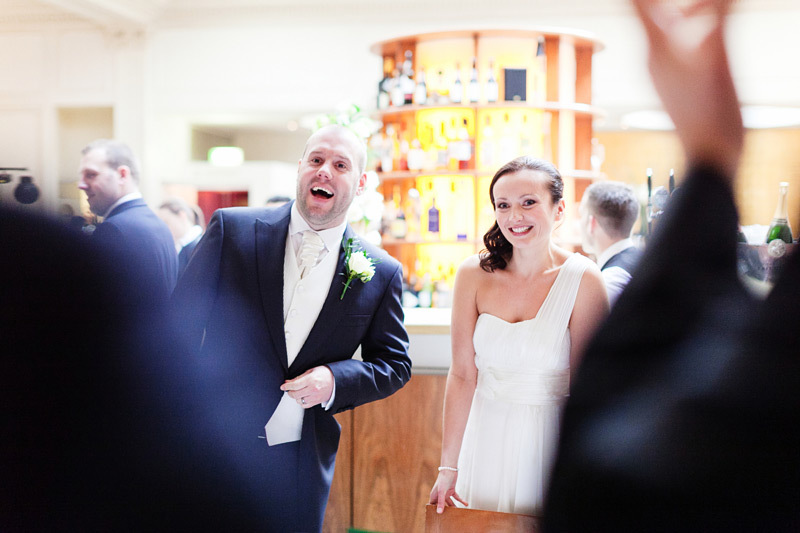 I’ve photographed a few weddings at the Hotel du Vin over the years – Sophie & Tom’s being the first – and have always found myself impressed and delighted by the interior lighting of the venue; both its use of artificial light and the combination of that with natural light through windows. Here’s Sophie, just before setting off to marry Tom, lighting that one might spend a good amount of time setting up in a studio but at the du Vin, it was already there :~). 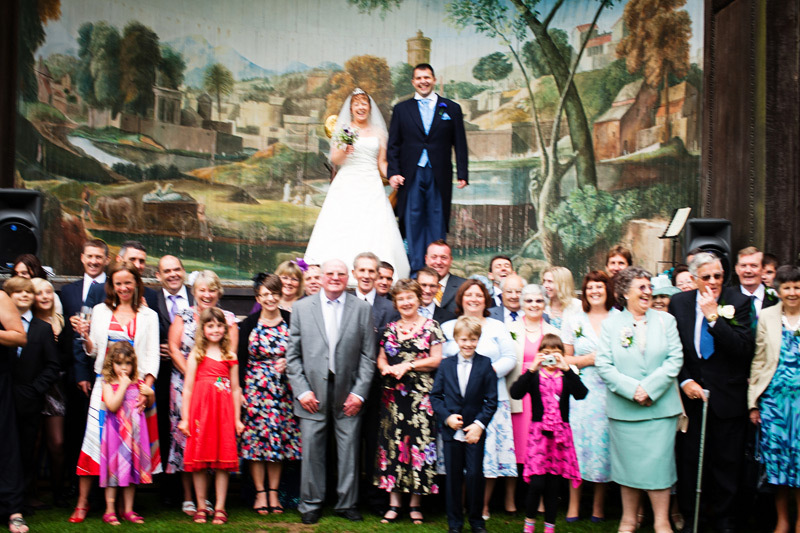 I met Anne & Arran at the same pub that wedding #14 emanated from, that of Ruth & Nick. That particular pub – The Brunswick in Charminster, Bournemouth – was something of a hub; a thriving community of characters. The conveyancing for my first (and only) home purchase stemmed from a meeting there, various bits and bobs of work done on that home, and of course the photographing of a wedding or two (actually three, in the longer term). It was enjoyable to photograph a wedding at which I already knew far more people than I typically might at many of the weddings that I attend and regardless of that aspect, highly enjoyable and rewarding to get to know Anne & Arran more fully throughout a day on which a couple’s personalities always shine most fully. I enjoyed witnessing the great warmth with which all of their guests were received and looked after and I was very much looked after by them, too. I’ve always enjoyed and appreciated the story of how Rommalee & Dan first came across me and how they came to book me to photograph their wedding. 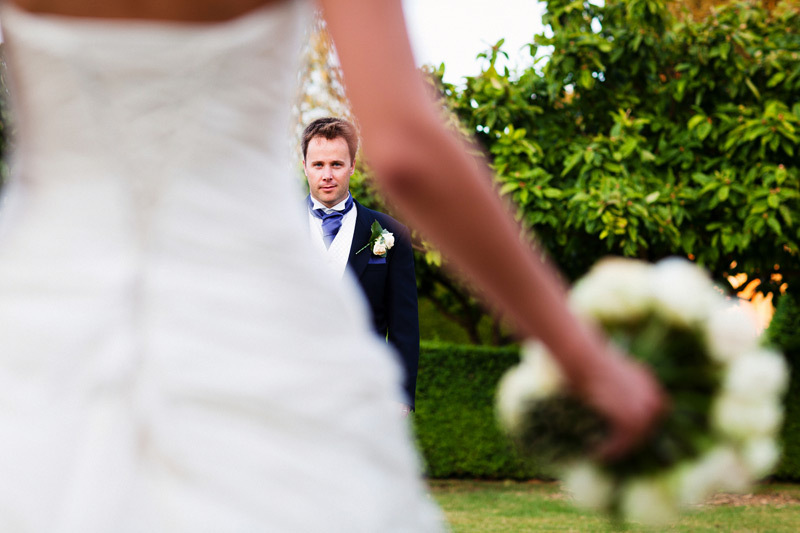 During their hunt for an appropriate wedding venue in Dorset they had visited Holton Lee where I had photographed my third wedding, back in 2009. On display at that venue was a large print of a photograph that I had taken of a marquee – the wedding party ongoing inside – and the URL to my Web site was featured alongside the image. They hadn’t taken a note of the URL and didn’t commence their search for a photographer until a few months later but the preposterousness of my business moniker had stuck in their mind and they looked me up online. The rest, as they say, is history. It was a blast photographing Rommalee & Dan’s wedding and in turn, I turned to Dan for his services as a professional designer. First of all he designed my logo, then later I commissioned him to design my current Web site, later again my services and pricing brochure and then a set of bespoke packaging elements that I use to send out final packages to my clients. Dan’s design work provides a precise, cohesive and evocative identity to what I offer, in addition to the images that I myself present. “Wedding enquiry from a fellow Sergio Leone fan!” So read the subject line of Ben‘s opening enquiry email to me. He’d been a masters student at the National Centre for Computer Animation and recalled my featuring the opening of Leone’s Once Upon a Time in the West in one of my cinematography lectures. 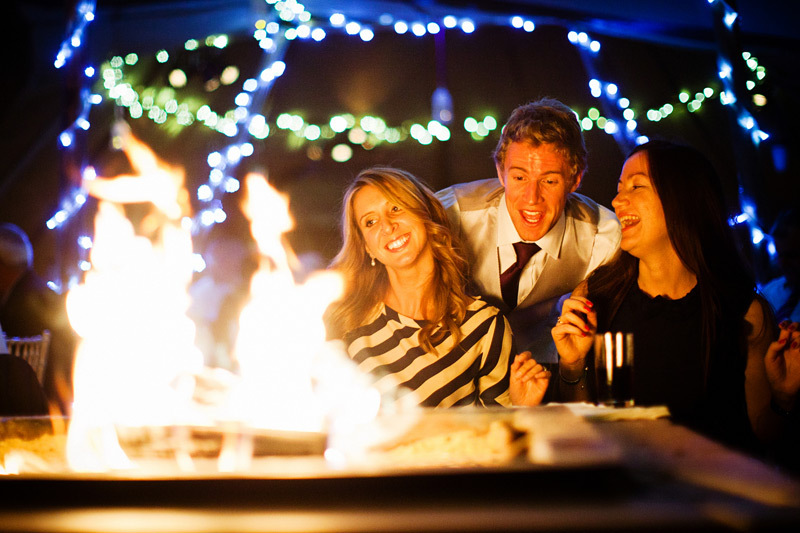 We joked… I think we were joking anyway; maybe we were serious! :~) … we joked about photographing his and Jo’s wedding in the style of a spaghetti western. Jo asked if we might mix things up a little by photographing portions of the day in the style of a period costume drama. I promised that I’d be able to do both (I photographed it in my own style throughout, though did compose a few images that paid homage to each genre of film-making :~). 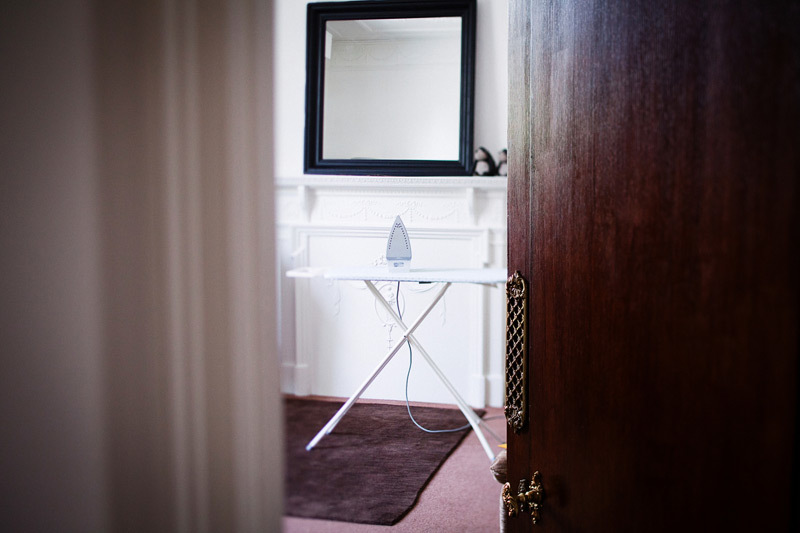 I asked Beth & Daniel’s vicar if he had any house rules with regards to photography and he proved to not only be highly relaxed about my presence but also actively helpful, telling me that it was the couple’s day and that we were both there to do a job for them; music to my ears. I am though keen to be as invisible as is humanly possible during the ceremony most of all across the span of a wedding day – I’m loathe to think that I might ever distract from proceedings – so I disguised myself as a wooden podium with an ornately cut set of apertures inlaid to the top of its facia. Or maybe it was the case that there was already one in place and I hid behind, and occasionally within it :~). 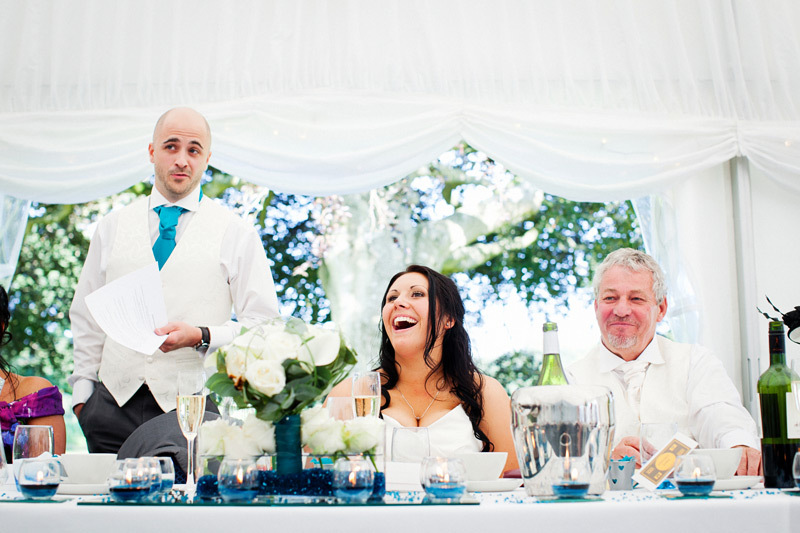 I invariably find myself enjoying the speeches delivered at the weddings that I photograph. I tend to attract thoughtful, creatively minded, spirited clients and they tend to come packaged with friends and family of a similar ilk. The speeches that I hear tend to reflect these attributes. Often-times I find myself needing to ramp up the shutter speed on my camera during speeches as I’m laughing so hard myself, the camera is shaking in my hands. Sometimes I find myself shedding a tear, too. I have no complaints about the deployment of speakers that I encounter (I have none; I have no right to any in the context of the contractual commitment I’m party to) and harbour no judgment whatsoever over people’s choices, individually, but I do find myself intrigued by certain over-arching patterns in the world of weddings and of course the world in general. For example, why is it perceived as the done thing to have the speeches at a wedding delivered by a triad of men (specifically, father of the bride, groom, best man)? 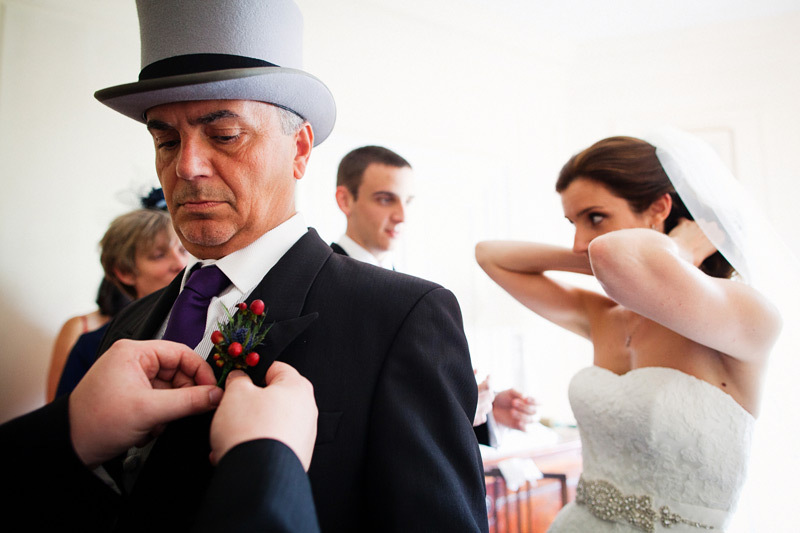 Debrett’s states it firmly to be the case that this aspect of a wedding day falls solely to men, the sole concession to variation being that the father of the bride might be replaced by a brother, godfather or uncle. Frankly, I think Debrett’s can do one. Having over the past decade found myself photographing weddings across Scandinavia and more southern reaches of Europe, and weddings of Scandinavians and southern Europeans – and antipodeans and Americans – in the UK, I suspect that the seemingly firmly held-to tradition of male-only speakers is a particularly British one. 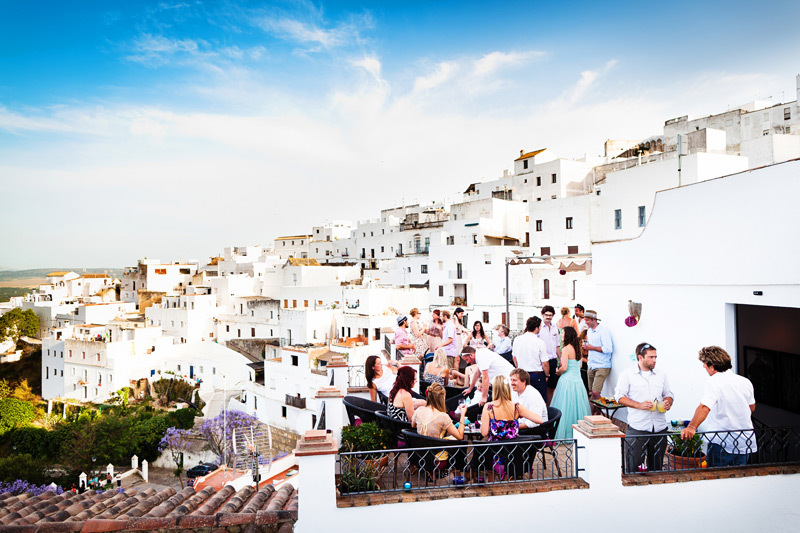 Those portions of the rest of the world that I’ve encountered through weddings appear to have moved on, or maybe they were never parked up in the same societal cul-de-sac in the first place. 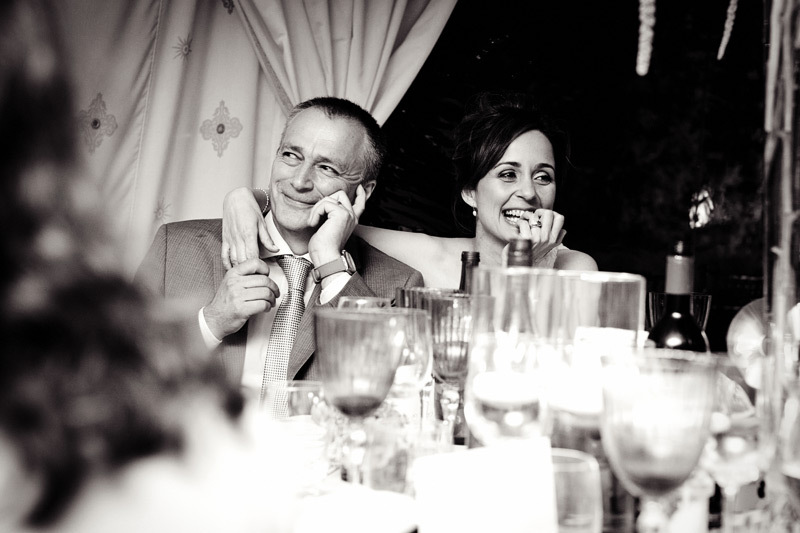 I do invariably find myself enjoying the speeches delivered by men at the weddings that I photograph. I also invariably find myself enjoying speeches delivered by women. Begging pardon for my statistophilic departure but I’m pleased to report that women have delivered speeches at 45.83% of the weddings that I have photographed across the past ten years (2017 proved to be a peak year, at 60.87%). I’d like to report a 100% rate; 45.83% as an essay mark would denote something safely passable but with vast room for improvement, though anecdotal research tells me that I see a great deal more women delivering speeches than most photographers of British weddings do thus I’m pleased on that count at least. I have photographs from 99 weddings of speeches being delivered by brides, grandmothers, mothers, sisters, aunties, nieces, bridesmaids, and female cousins and best-friends, and all have been brilliant to witness. 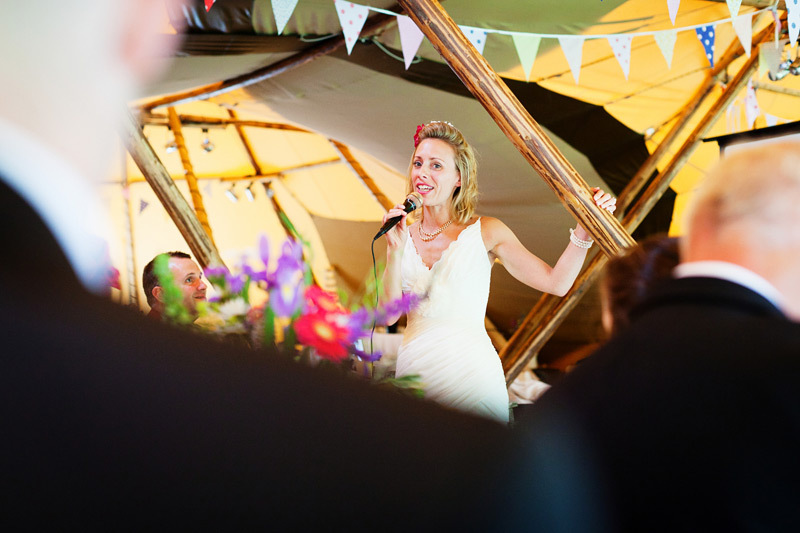 This is Emma delivering a speech at her and Oli’s wedding; a fantastic speech and one of my favourite such images from all of the weddings that I have photographed. 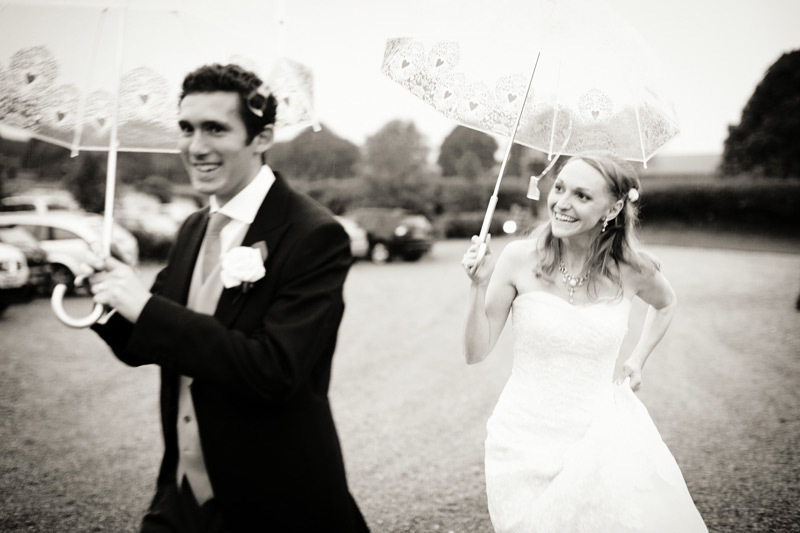 And here both Emma & Oli together, setting off from ceremony to ensuing celebrations. Oli is a former student of mine, by the way. 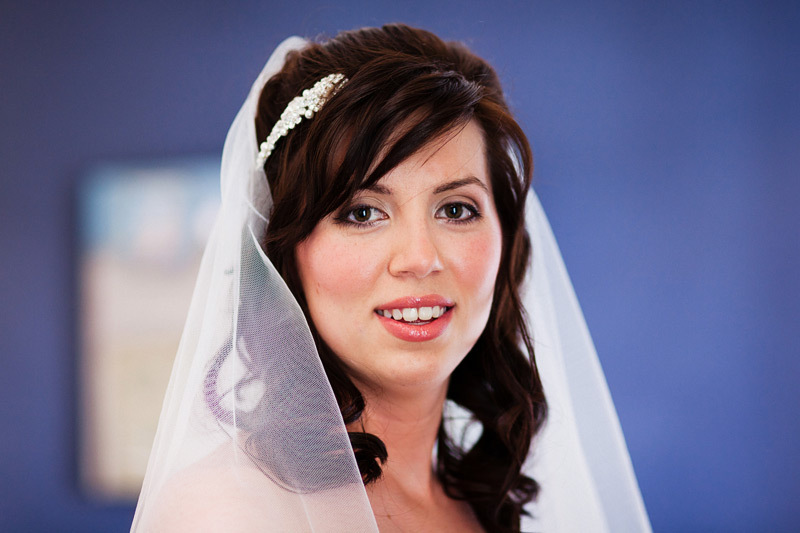 Emma, coincidentally, was a work-colleague and friend of another client of mine, Nicola (wedding #11). Small world! Through the process of searching online for inspiration for wedding flowers and bridal bouquets, Sara came across one of my photographs – that was linked to my blog – via Google Images. 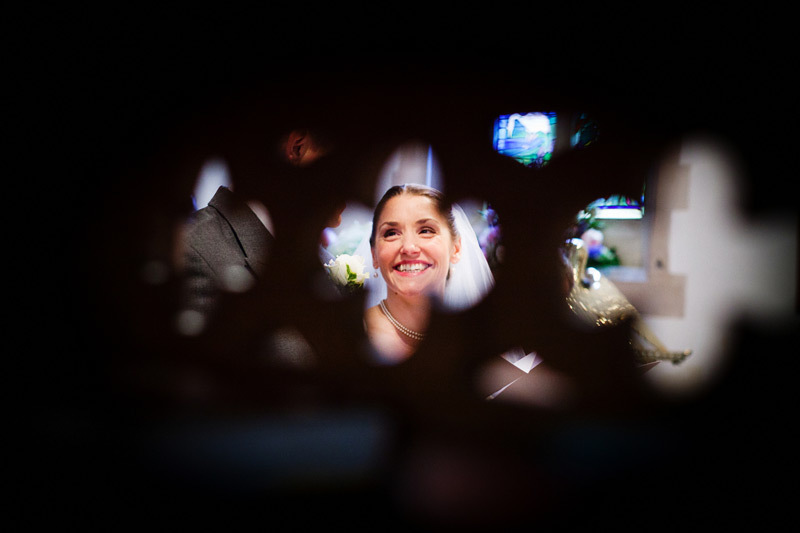 This chance discovery led ultimately to my being commissioned to photograph her and Mark’s wedding. 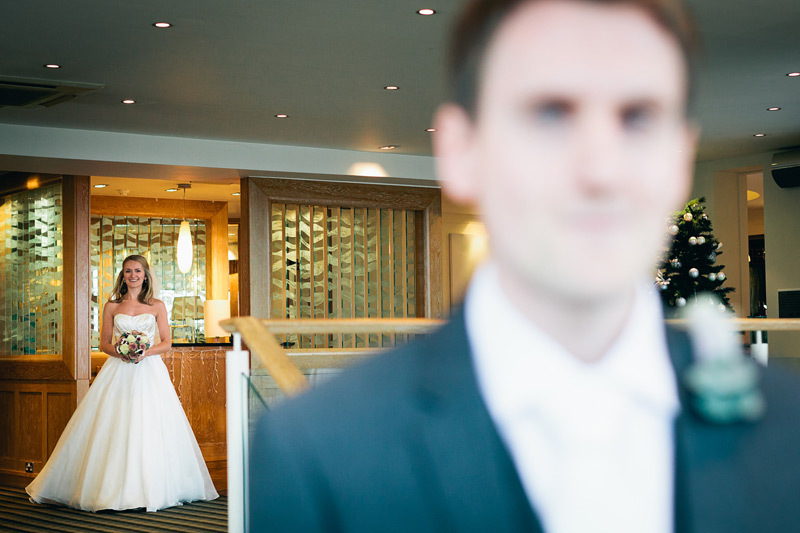 I had previously been discovered and eventually booked for a wedding through the chance discovery of one of my images at a wedding venue but this was the first time – to my knowledge – that I had been discovered so serendipitously through a single image of mine floating around online. 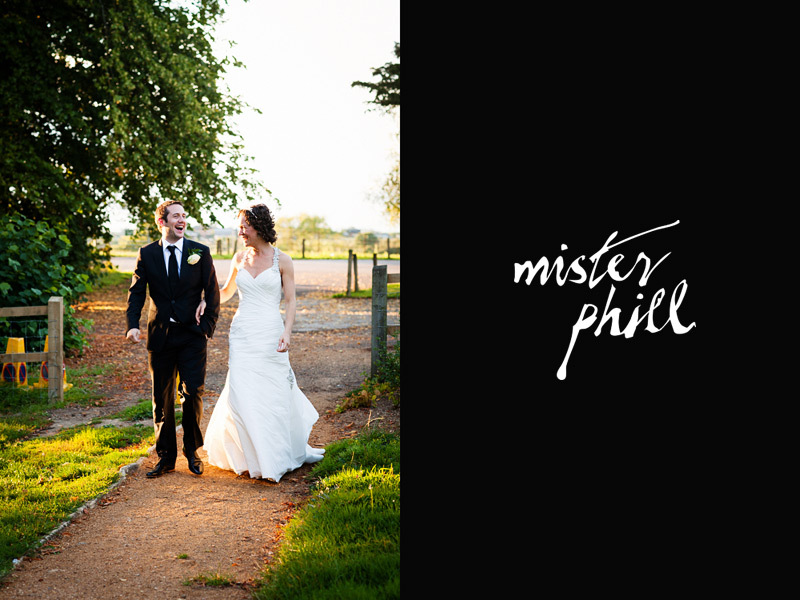 Such was the enjoyment and meaningfulness that I derived from subsequently photographing Sara & Mark’s wedding that I resorted to paying a great deal more attention to naming image files on my Web site and blog in a manner designed to (hopefully) be picked up in online searches. Quite evidently my thinking was that I’d found (indeed been found by) clients of the type that I loved working with, they’d found me through method ‘M’, thus if I paid more attention to having my images show up via method ‘M’ then I might secure more of the same type of client. I don’t think though that I’ve since been discovered in this manner but still :~). Sara having first discovered me, subsequent correspondence was conducted from their end by Mark, an enthusiastic photographer himself; a really particularly good one too. I thoroughly enjoyed our interactions via email and enormously enjoyed interacting with both he and Sara through their wedding and subsequent ones, my photographing of which stemmed directly from my having photographed theirs. They both had an inherent understanding of the particular meaning of what I do in photographing weddings and both had a great passion for stories; of experiencing them and of sharing them. 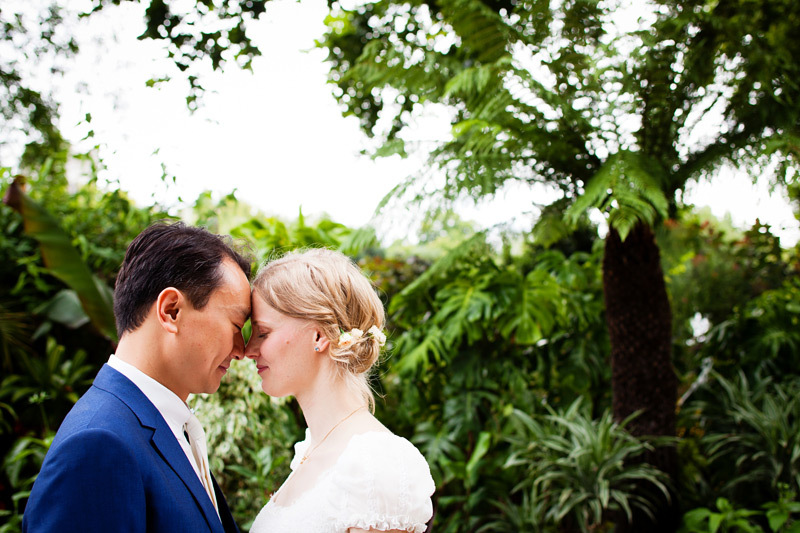 The featured image, from Sara & Mark’s marriage ceremony, has always been a particular favourite of mine for its intense sense of connection between two people and the depth of emotion conveyed by the trail of a tear on Sara’s face. Apropos to my previous wedding (#41, Emma & Oli) and my associated monologue on wedding speeches, this photograph was taken as Mark’s best man, Owen (out of frame in this image) delivered his speech. Mark, at this juncture, worked in New York and Owen is American. 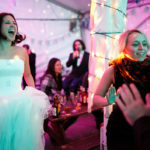 I’d become quite accustomed by this stage in my wedding photography career to the seeming convention of grooms being ribbed or even roasted outright by their best men, come delivery of their speeches. Over the years though – and perhaps most evidently for the first time in hearing Owen’s speech – I’ve come to understand this as being a particularly British approach. Owen simply spoke of Mark’s merits; his achievements and his virtues. It was a really nice speech and I found it refreshing to hear something so heartfelt, without the rhetorical brinkmanship that can indeed be entertaining (invariably so it is, too, at those weddings I find myself at) but gave way here to something particularly pleasant in itself. Also apropos to the monologue attached to the previous wedding, Sara too delivered a speech which was utterly fantastic; one of the best that I’ve yet heard. I’ll be including an image of her doing so in a blog feature that I have planned to celebrate all of the speeches I have seen – indeed heard! 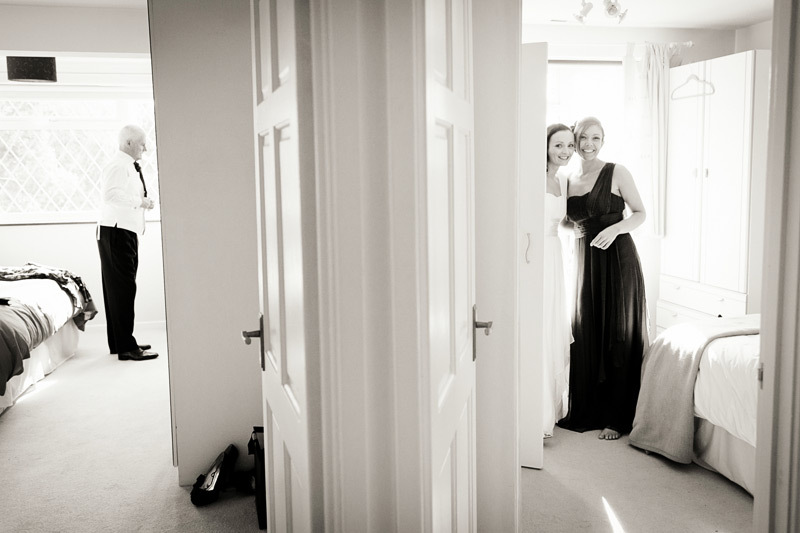 – delivered by women over ten years of photographing weddings. By this stage in my wedding photography career I had started to secure publication of my weddings on a variety of wedding inspiration blogs. 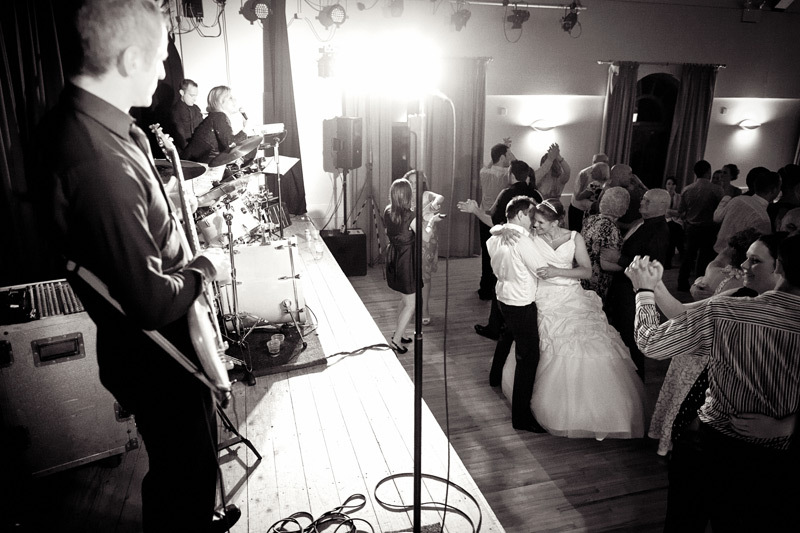 One in particular, Rock My Wedding, started featuring my weddings on a regular basis and for a number of years became the source of around half of the weddings that I would photograph each year. 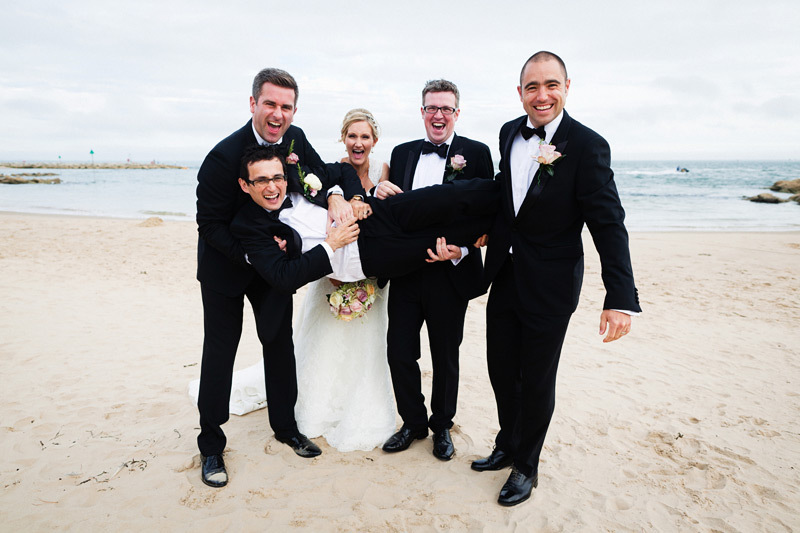 Megan & Wayne were the first of my clients to have found me on Rock My Wedding and they proved from the off that the publication was ideal in turning up the kind of people that I would love working with. Wayne hails from Cheshire in the UK, Megan from New York. The menfolk wore top hat and tails and this was a major point of excitement in particular for the American contingent. In all honesty, I’ve never seen a group carry off the look so well, their enthusiasm for the garb being so palpable :~). Emily joined the Royal Air Force at the age of 16, training and working as an aircraft engine mechanic. Some years in to her service she met Eammon, a member of an air sea rescue team with the Royal Australian Navy whom was on a military exchange in the UK. 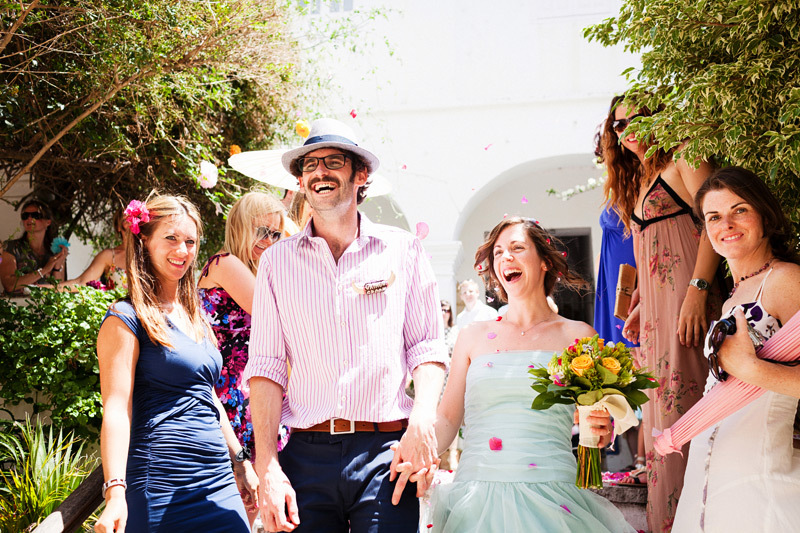 Eventually Emily moved to Australia with Eammon and it was from there that they planned their wedding, set to take place back in Emily’s home county of Dorset. Emily got ready at her dad’s home and while I was meandering about, photographing anything of interest that caught my eye, Eammon’s mum tipped me off to a scene occurring up-stairs. I popped up to find Emily and her dad, Marcus, just hanging out together, catching up with each other as she had her hair done. It was a simple scene but one that struck me with deep profundity. It made me think of my own daughter and I and where she might land up in future. 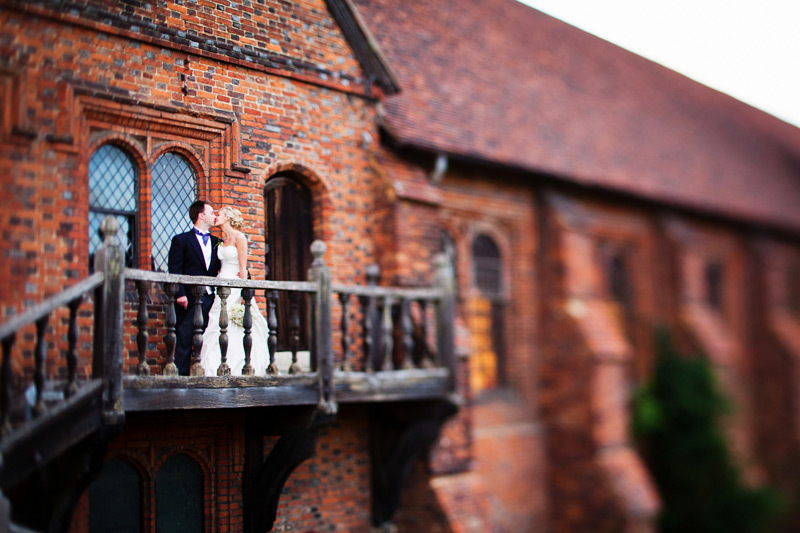 It’s rare indeed that I find myself photographing a wedding at a venue that I’ve previously photographed a wedding at. I do, if anything, like the variety of constantly visiting new places and I like to think of any one venue as belonging solely to the couple whose wedding I have photographed there. 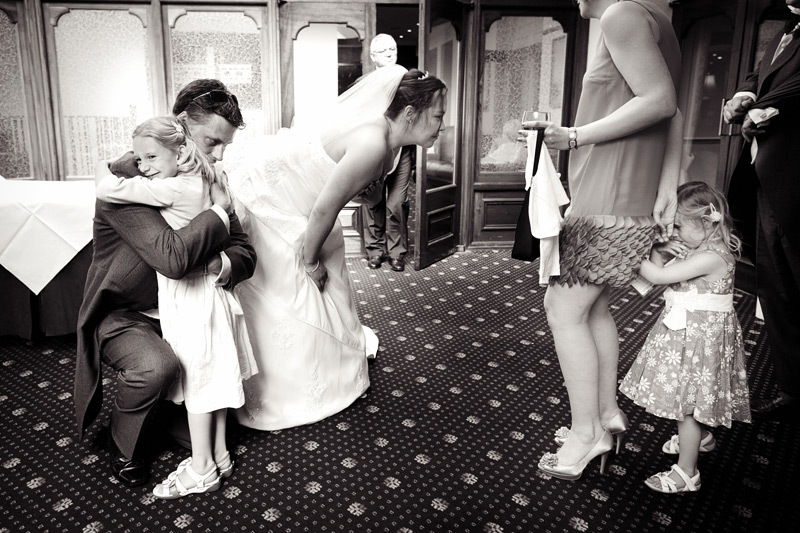 There are though a small handful of places that I have photographed more than one wedding at over the past decade and one particular combination of church and venue that I have found myself at more than any other. 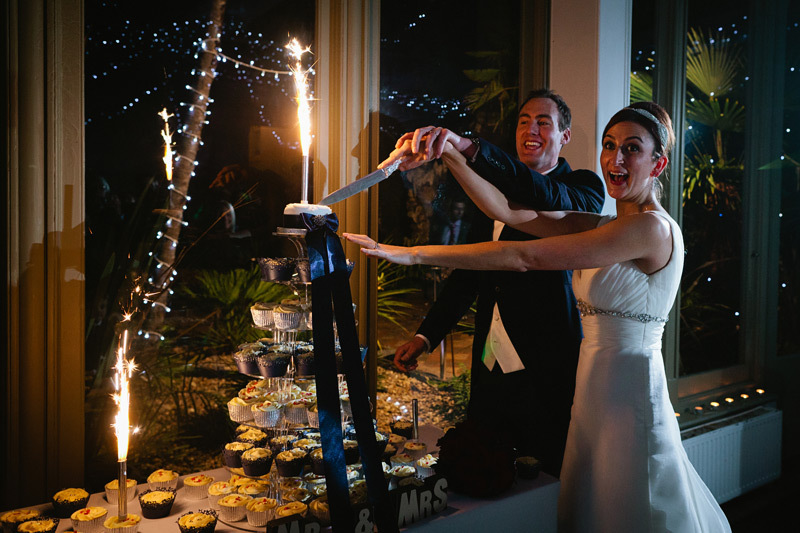 Eleanor & David married at St. Nicholas Church, Studland, on the Isle of Purbeck in Dorset and celebrated at the nearby Studland Bay House. The house comes with a series of guest bedrooms and is hired out by the week or long weekend, thus makes for a great place to celebrate in unhurried fashion. 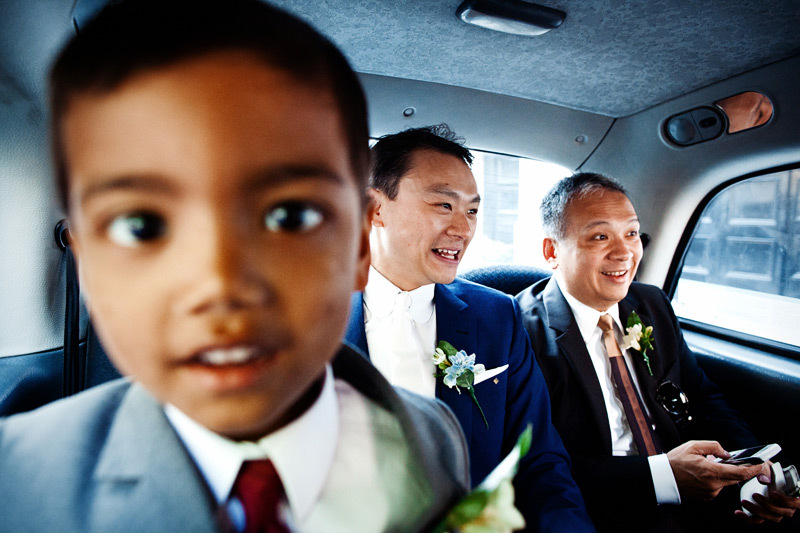 Eric hails from Malaysia, Christiane from Germany, and finding themselves both living and working in London they decided to share with their global families and friends what they loved most about the city, come their wedding day. Phil worked for IT at Bournemouth University, though much like myself, flew that particular nest some time after we met. Maybe a case of birds of a feather fly away together, I did especially enjoy getting to know both he and Michelle through their wedding; both genuinely lovely souls. I’ve alluded in a previous post to Henri Cartier-Bresson’s assertion that “Sharpness is a bourgeois concept,” but I would always wish to deliver group photographs that are clearly focused and free from camera shake. I did actually do so in this case, but kept this particular one in the set for good reason. Rob first came across my work on Twitter when one of my former clients, Sam (wedding #25) posted a link to my blog post on the wedding of Ruth & Nick (wedding #14). 25 plus 14 add up to… 39, so I’ll quickly dispense with any notion that I had of numerical serendipity being in play but it’s certainly serendipitous none-the-less that someone might find me in such a manner. 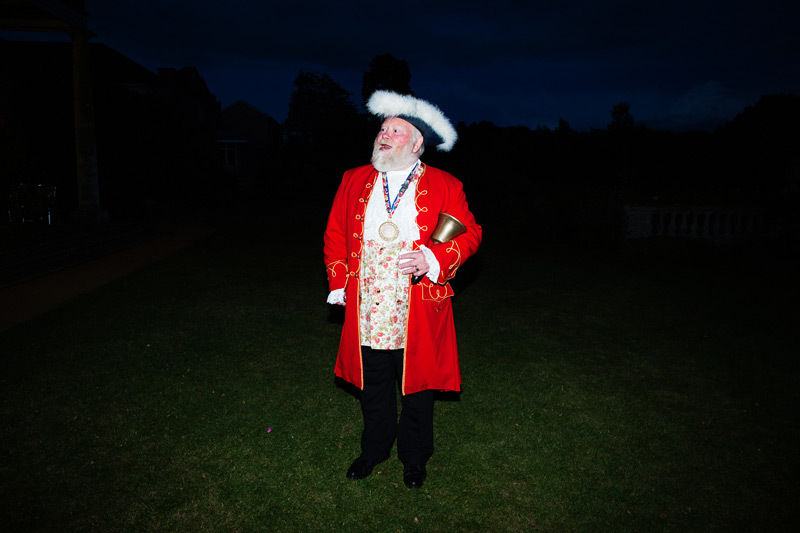 He and Nicola hired a master of ceremonies for their wedding day, whom also happened to be an official town crier. Absolutely fantastic for rounding people up for the group photographs. I certainly don’t care to holler out instructions myself on a wedding day but if anyone has an excuse to – indeed a contractual obligation to – it would be a town crier! 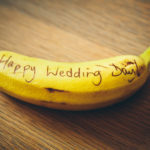 My fiftieth wedding. Gold! Metaphorically speaking, but it did shine brightly at that (which again I believe is a metaphor). As indeed always transpires to be the case, I thoroughly enjoyed photographing Jo & Mark’s wedding at Highcliffe Castle in Dorset. I loved meeting their utterly dapper young man, too. Jo had been recommended to look at my work by her friend, Maddie. Six years later I photographed Maddie’s wedding, as she married David. On that occasion, on thanking them for that recommendation some years earlier, David quipped that they liked to try out their wedding photographers on someone else, first :~). Liz & Mike’s wedding saw the energy of persona dialled up to the max and it was a blast to photograph proceedings beginning to end. They kindly sat me as a guest for dinner at a table including Mike’s Spanish cousins who could speak no English nor I anything much to speak of in the way of Spanish (bar a little un poco and a grateful gracias), but they took a shine to me and opened up communication channels via the medium of Spanish red wine. We understood each other perfectly. 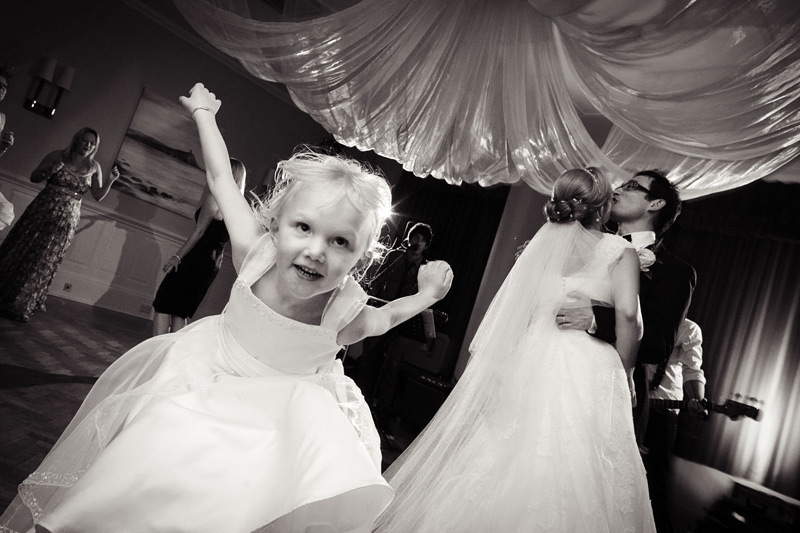 I loved this perfect photo-bomb from the first dance. Enquiry emails are always a welcome arrival in my inbox, additionally so when the enquirer goes in to some detail about what they’ve identified in my work, all the more so again when a photograph they have taken is attached to the email; it signals strongly how important photography is to them, I suppose. The opening enquiry from David was one such email. It fascinated me to read details of what he saw in my work and I was particularly delighted that he’d attached a photograph of himself and Laura, taken on the summit of Ben Nevis just after he’d popped the question. 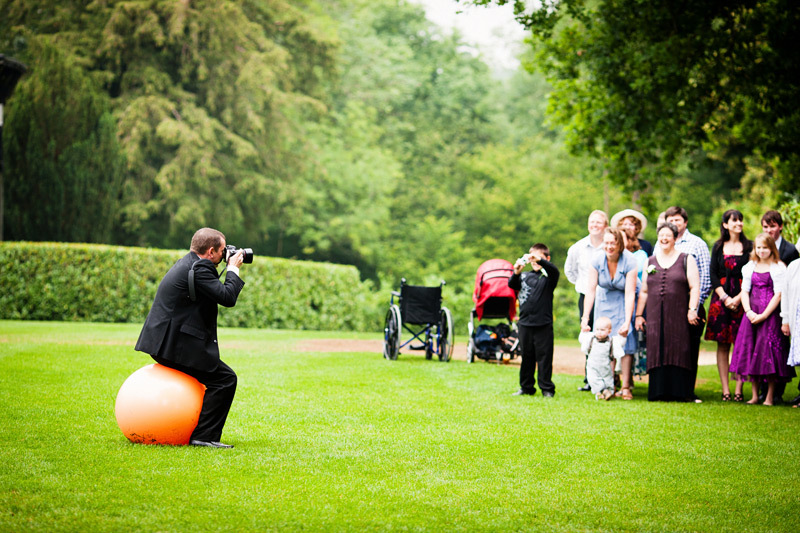 If ever I wanted to photograph a wedding! They were both an absolute delight to work with. 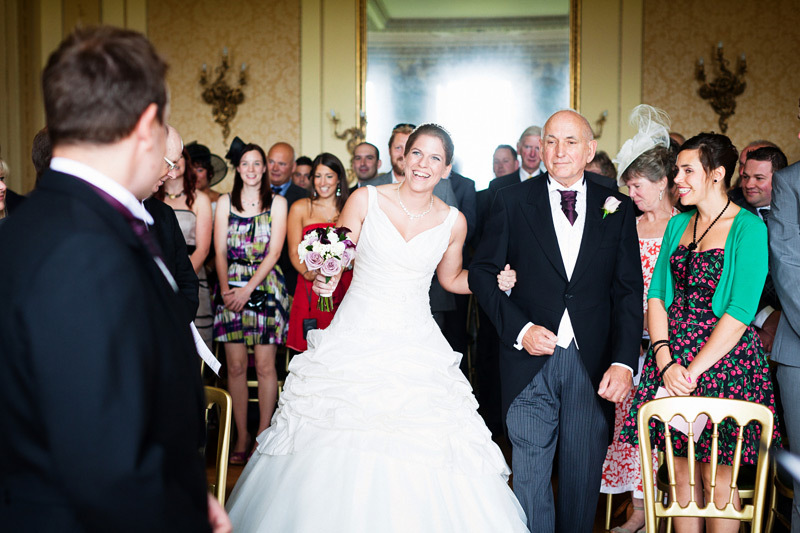 My chosen image is one where Laura has just entered the ceremony room at Chettle House in Dorset. 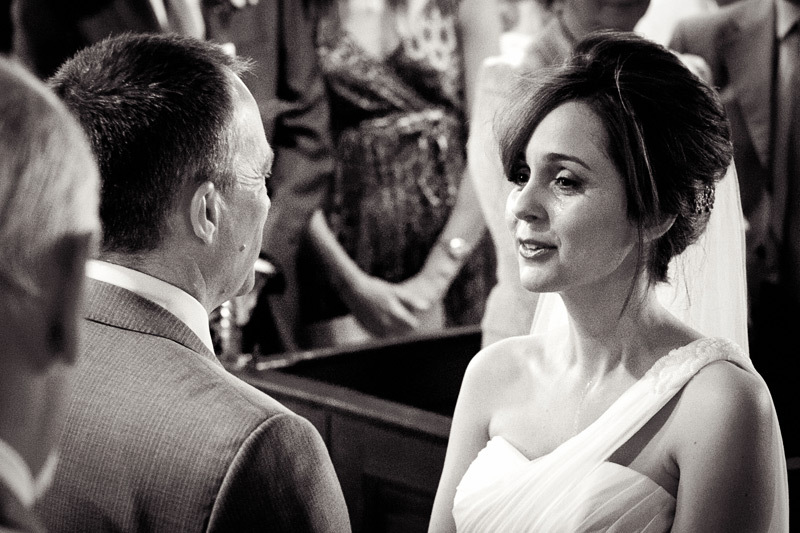 I loved the manner in which, with a beaming smile, she locked her eyes onto David all the way up the aisle. 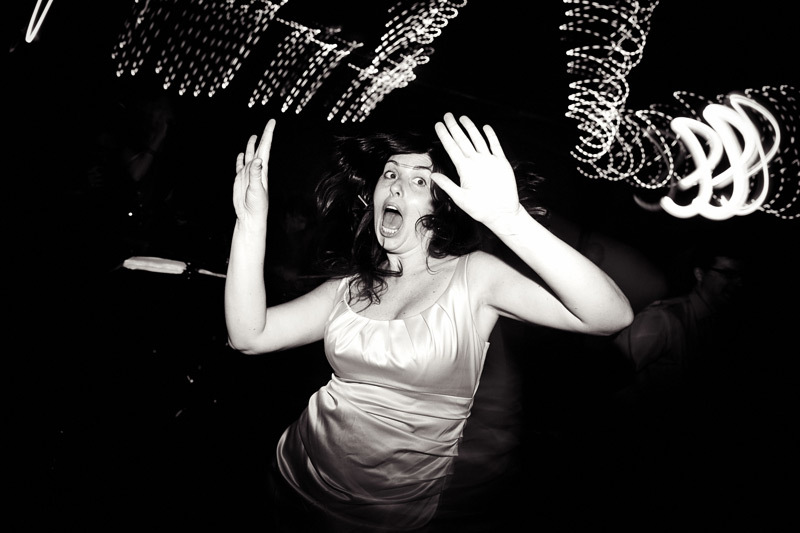 It’s always a particular pleasure photographing the weddings of former students of mine. Damian was one of many highly talented students that I enjoyed participating in the teaching of over many years and one of several members of children’s animation production company, Blue Zoo, whose weddings I have thoroughly enjoyed photographing across a further number of years. It was rewarding too, to meet, get to know and to learn a thing or two from Hannah through the process of planning for and photographing their wedding, particularly about the nature of personal narratives. 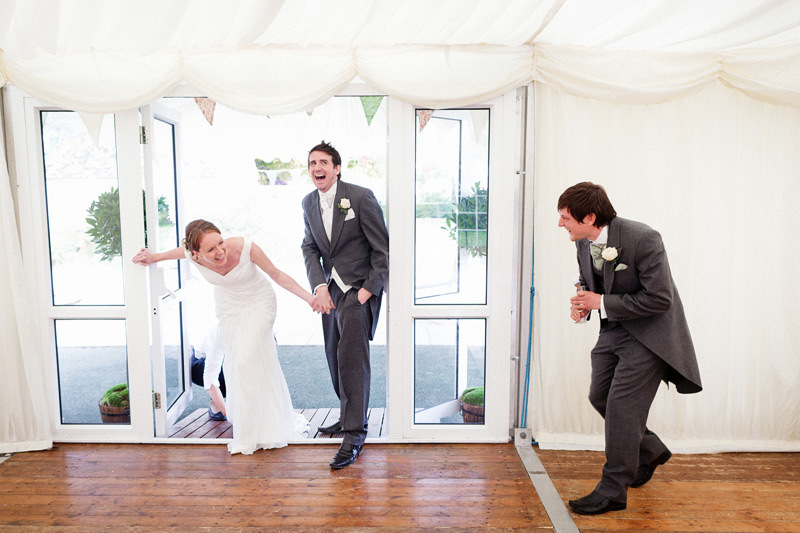 My chosen image from their wedding is, I suppose, a predictable one to select as it has featured on the front of my Web site since it was first designed and published; an enduring favourite of mine from a decade of photographing weddings. As Damian is silhouetted in this one, there will of course be a second to follow within which he can be seen more clearly, another image that has always stuck in my mind! 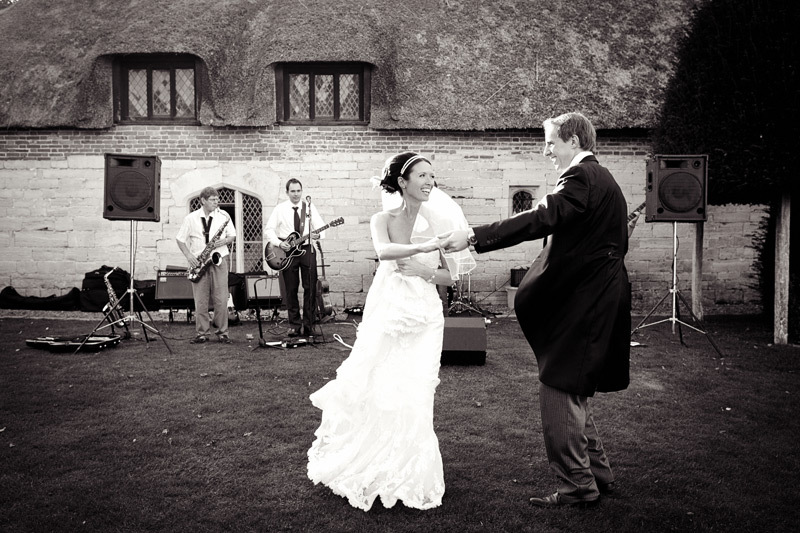 Milly & Charlie had a band perform outdoors during the afternoon cocktail reception between ceremony and dinner at their Athelhampton House, Dorset, wedding. 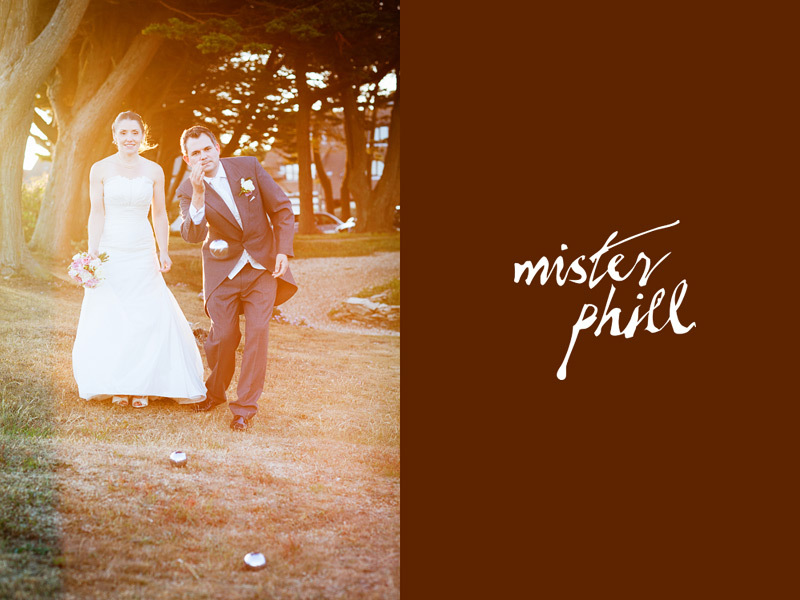 As their guests finished filing through to dinner, the two had an impromptu little twirl on the lawn. Which I wasn’t, of course :~) I carried on after the official first dance, too. 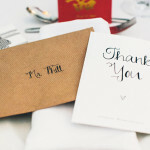 This image from Jake & Conall’s London wedding day has always resonated with me in large part by virtue of the knowledge and understanding of the two that I developed through meeting them during the planning process for their wedding and all that I saw of and in them during that day itself. It speaks to me of the Yin and Yang in human relationships and also within the nature of individuals. 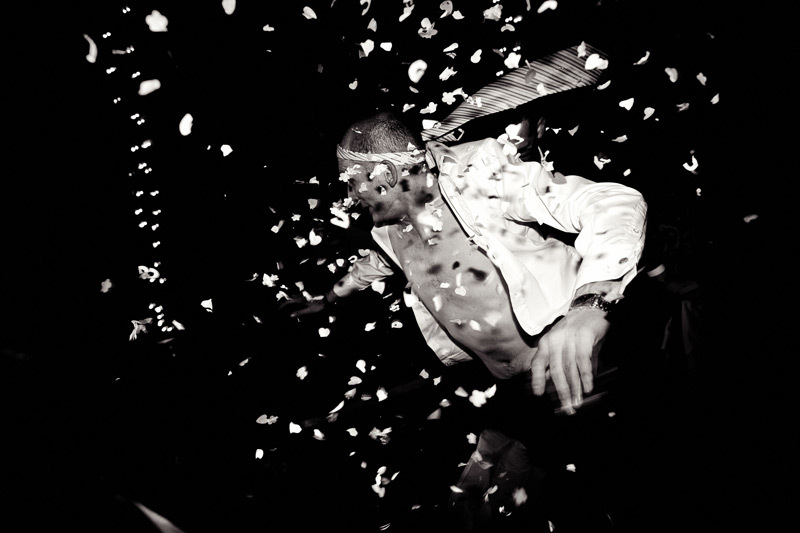 Jake always struck me as one with the nature of an effervescent bundle of externally manifested energy; Conall as one that embodies the expression, still waters run deep. During this phase of pre-ceremony preparations however, I observed Jake very calmly, almost still, preparing some food in the kitchen as Conall moved around with great kinetic energy gathering together items of clothing in the living room; a folding of Yin into Yang within each individual and between the two, as a couple. 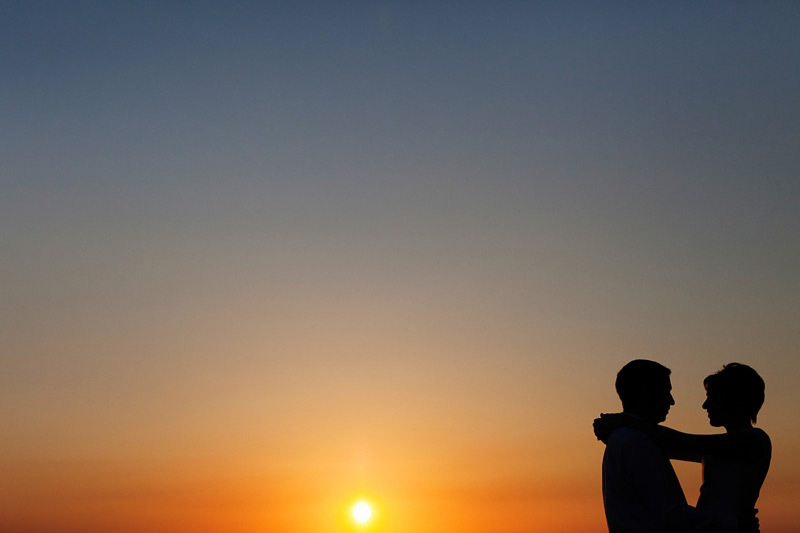 A dance between two souls that underscored the whole day as I documented it. 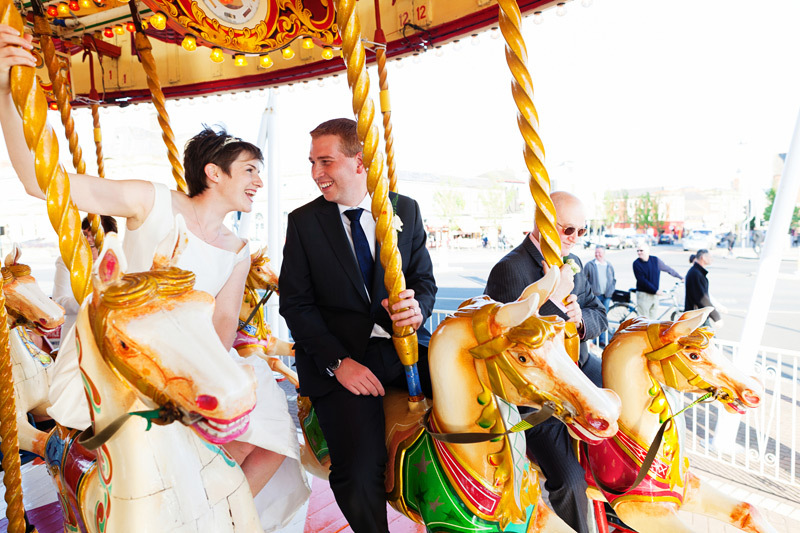 Ahead of their Hampton Court House wedding, Farah & Ivor popped down to Bournemouth for a day for a pre-wedding practice shoot and so we could discuss in more detail, face to face, their wedding day plans. During the day, as we stopped off at a cafe to revitalise ourselves with some caffeine, it struck me that I had no idea what they did in life, outside of taking woodland and beach walks with me. So I asked them. Ivor told me that he was an orthopaedic surgeon and Farah told me that she was a qualified doctor, currently engaged in doctoral research into cancer. They both smiled. I knew that they must both find their work deeply interesting. They were just being naturally humble. Really, really nice people. 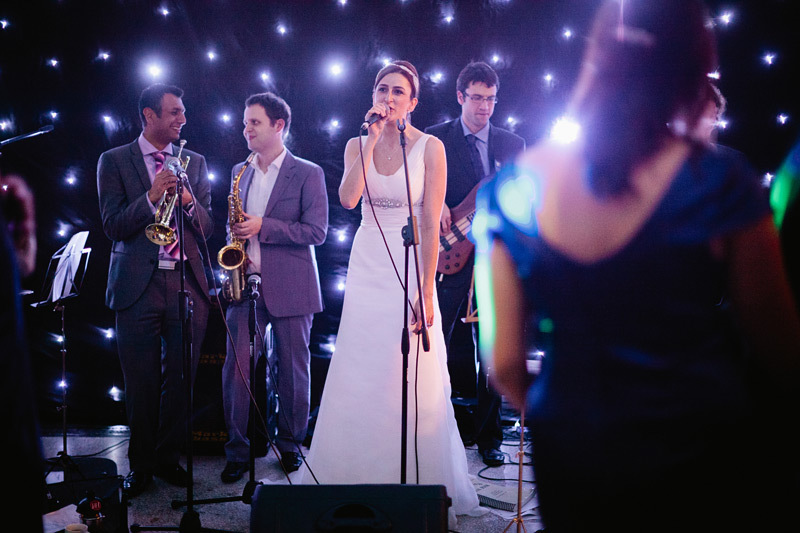 Then I photograph their wedding and it turns out that Farah is lead singer in a band comprised of fellow doctors and she sings like a diva and, yeah, not creative indeed! Ivor doesn’t sing in a band but anyone so kind hearted contributes to creating a better world for those whose lives they touch upon. Creativity manifests itself in many guises. Katie is one of those people whom one might describe as having an infuriating ability to shine in anything and everything that she turns her hand to, though there’s nothing at all infuriating about her, just delight in everything that she shares. 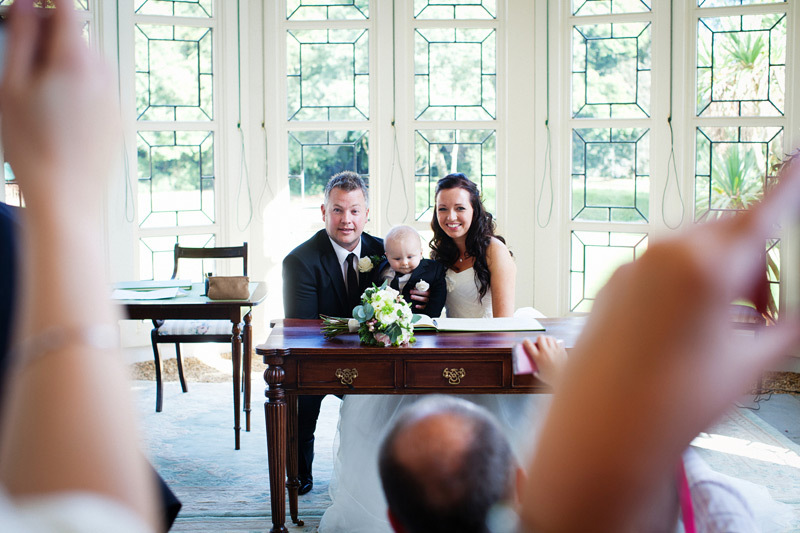 Something of a high-flyer in her corporate work, she’s also an excellent professional photographer, specialising in family photography. Oh, and she designs, indistinguishable from a professional designer even though she doesn’t do so for a living. She’s a prolific and highly engaging blogger, as well. And the dancing! Trained to professional standard in that, too. 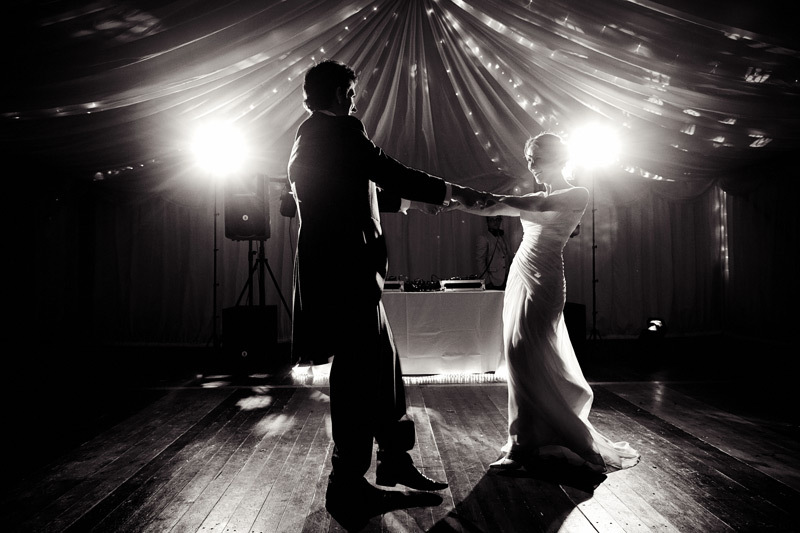 Indeed for her and Tom’s first dance, a professionally choreographed display was put on. 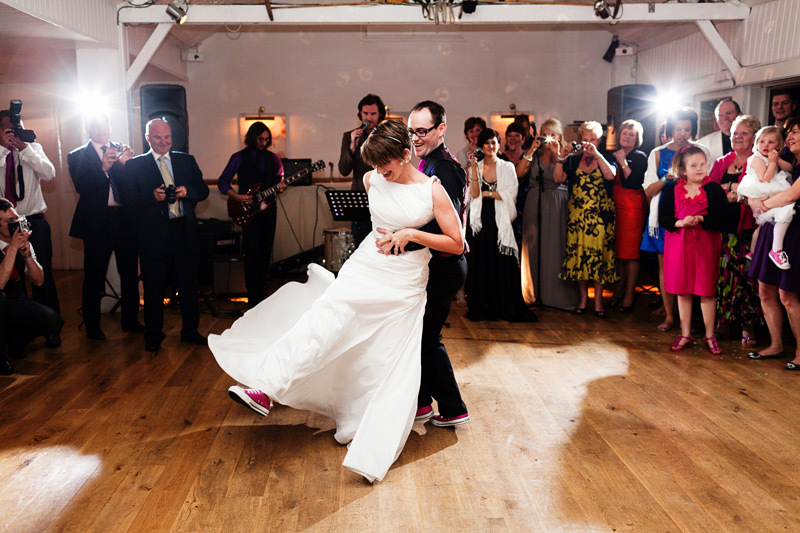 Tom is someone whom I suspect might describe himself as having two left feet in such circumstances but he rose to the occasion with aplomb and attended dance classes in the lead up to the wedding in order to bring a dash of Fred to bear in accompanying Katie’s Ginger. 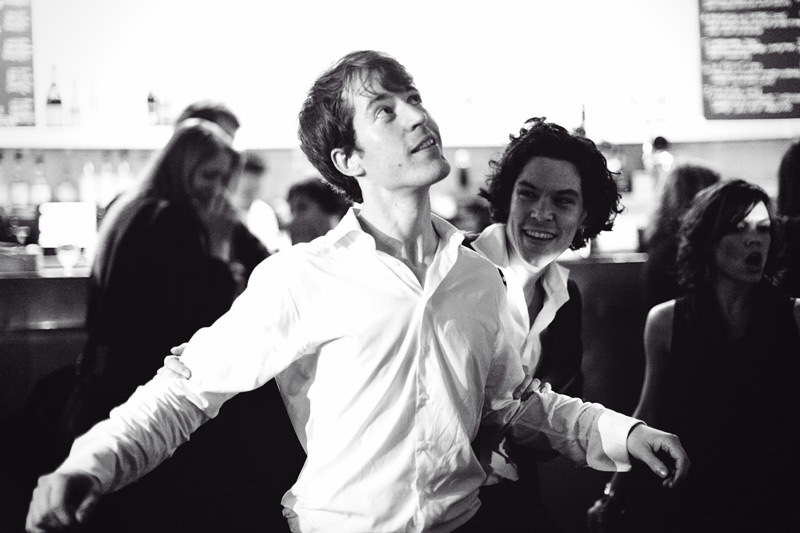 They were both striking together on the dance-floor. Whilst she and Tom were living and working in Australia, Katie first came across me via Twitter, where we’d traded a couple of messages. These were followed up by a chain of engagingly worded emails as the process of booking and further planning their wedding ensued. In fact, Katie & Tom had an entirely different venue in mind when Katie first made contact with me (ultimately they settled upon the Italian Villa at Compton Acres in Poole) and an entirely different time of year. It’s always additionally flattering to be engaged in the process so early one. Their wedding being set for the day before New Year’s Eve and the ceremony start time scheduled for 3.00pm, Katie having a keen understanding – as a photographer – of the quality of light, was concerned about fitting in family group photographs before it became dark so she suggested that she and Tom conduct a ‘first look’ followed by group photographs, before the ceremony itself took place. First looks, at that juncture, had been growing in popularity in the North American wedding world in particular but certainly weren’t ‘a thing’ in the UK; the couple first seeing each other in a more private setting, before the ceremony, with a view to dealing with all of the more ‘formal’ photographs earlier in the day, allowing the rest of the wedding to flow in an entirely organic manner without having to bring proceedings to something of a stop to fit in the more staged photographs. 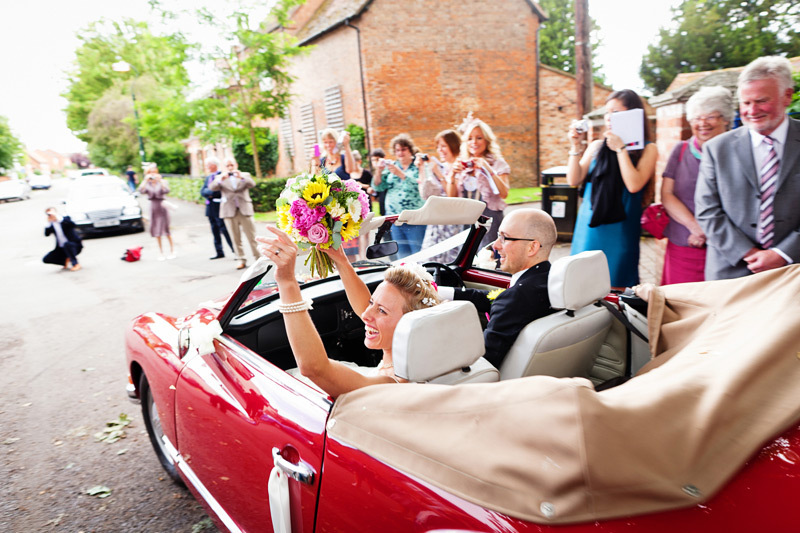 Many may – quite naturally – assume that this might diminish the excitement of first meeting at the end of the aisle but in practice it seems to simply double-up on all of those good feelings.